Whoa, ummm, if you want a Google Home Hub or already pre-ordered one, stop and/or cancel it now and head over to Home Depot, who happens to have a crazy deal on it. The brand new Google Home Hub can be pre-ordered from the home improvement store for $99. That’s $50 off! UPDATE: Well, Home Depot either sold out of the lot they had priced at $99, realized they made a mistake overnight, or ended the promo. Either way, we’re back up to full $149 prices. I’m not sure I need to sell you on why this is a deal but that’s a 1/3 off the normal price of a device that hasn’t even been released yet. That’s cheaper than a regular Google Home, which is 2 years old and doesn’t have a display. This might be the best discount outside of a Black Friday sale we’ve seen on Google Home. 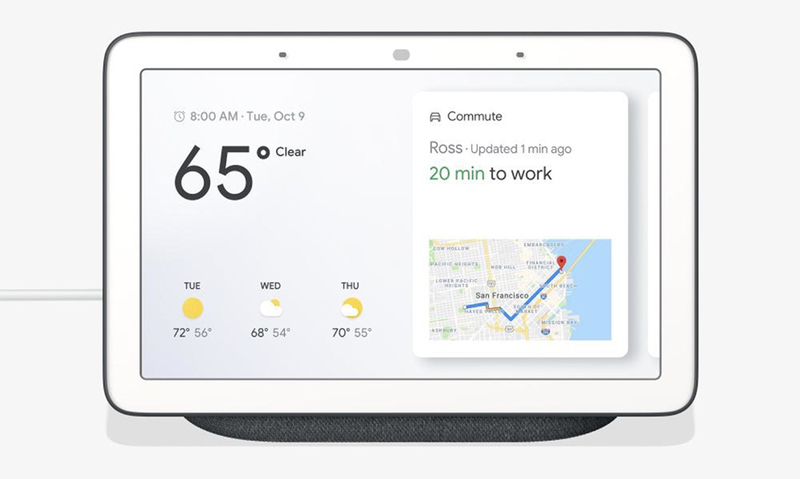 To recap, Google Home Hub sports a 7″ touch display, “full-range” speaker, light sensors, and works within the rest of the Google Home ecosystem for multi-room play. It also has access to a wide range of smart home product controls, plays videos, acts as a beautiful photo slideslow machine, and more. Home Depot currently has both Chalk and Charcoal options. Free shipping is included and no code is needed.